I've been interested in this game since it was teased at last year's E3. 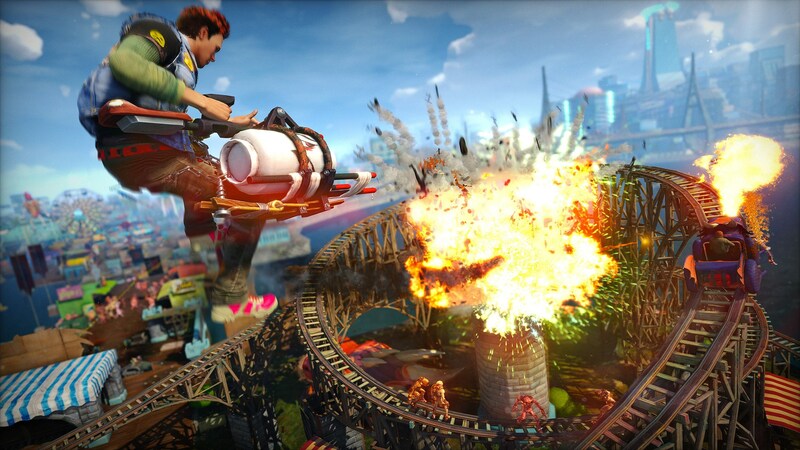 The colorful, frenetic open world of Sunset City is fun incarnate. You can jump, grind and flip your way across the landscape, picking off mutated humans along the way. The story is mostly set-up right now - corporation releases an energy drink which turns everyone into monsters - but I also dug the hints at an overarching story that makes a point but doesn't take itself too seriously. It's also cool that you can create your own character, and the punk rock pulse behind the whole game feels downright unique in the industry today. Oddly, Frontier is becoming one of my favorite developers. 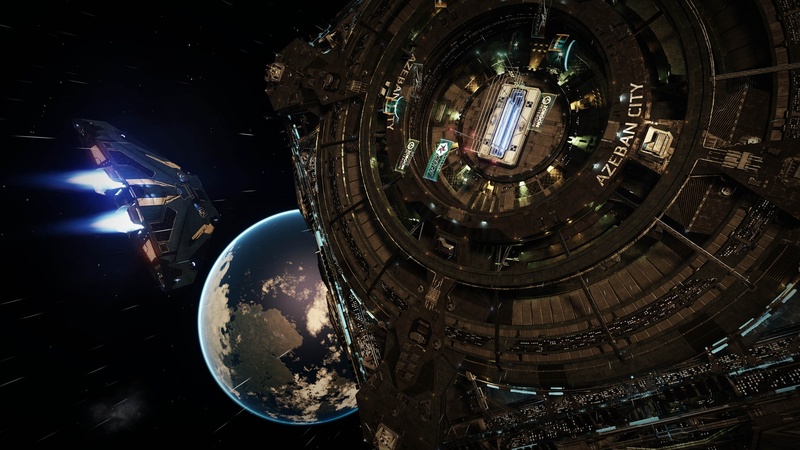 They made the excellent port of Zoo Tycoon for the Xbox One launch, and now they're revitalizing one of my favorite genres in the space combat sim Elite. I tested out Elite with an ideal setup, a joystick and a throttle control and the HD Oculus Rift prototype strapped to my face. It was an incredible experience. For about 15 minutes as I shot down some enemy starships, I forgot I was in a crowded convention center and embodied a fighter pilot in the vastness of space. Even when not fighting, the near infinite amount of star systems you can travel to in the simulation is gut-wrenchingly humongous. Multiplayer shooters aren't really my thing, well, since GoldenEye anyway. Evolve is something different though. The asymmetric play of 4 players working together to take down a 5th playing as a huge monster is compelling enough, and Turtle Rock has polished the balance and gameplay internally for the last three years. I really enjoy the progression of the match, and each stage feels different from opening, to midgame, to endgame based on the evolution of the monster player. 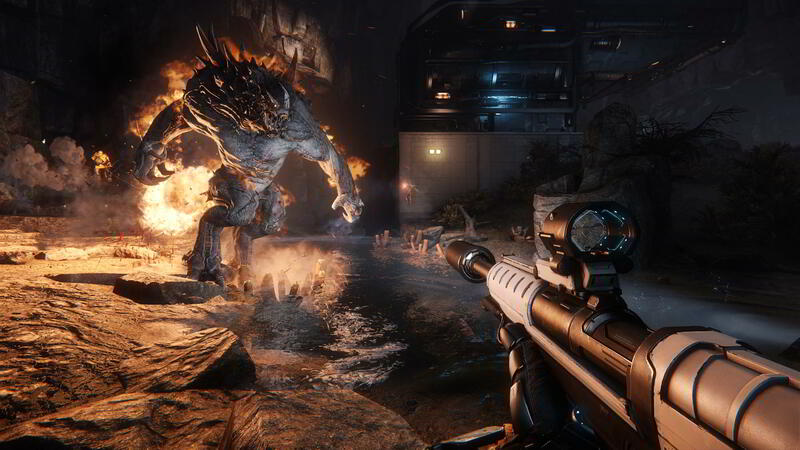 Evolve may be the game that brings me back to playing multiplayer shooters, if only so I can be the monster. 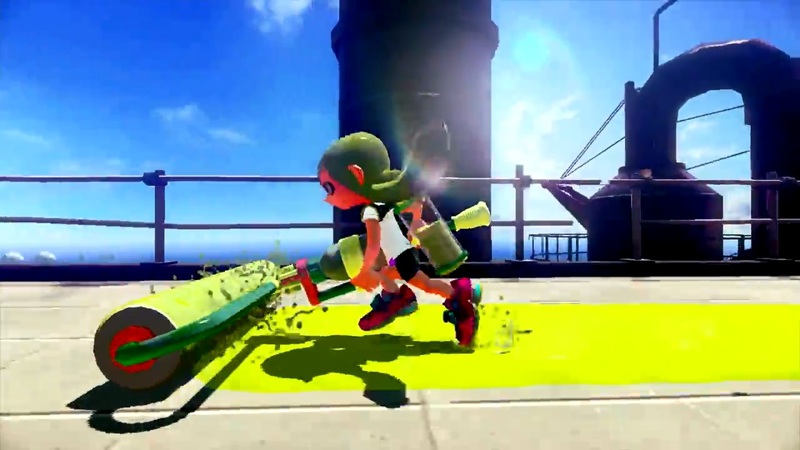 Speaking of multiplayer shooters, Splatoon is Nintendo's pitch-perfect take on the genre. Playing as a squid/human hybrid thingy whose goal isn't to shoot other players, but to spray paint over the most territory on the map. I mean, you can shoot the enemy, but all you're doing is wasting their time (and yours). The paint is what matters, and there's a surprising amount of strategy and deception in using the map to your advantage. Moving around the map quickly is also really easy to do, both in squid form through your own paint color and after you spawn and jumping immediately to a team member's location. In short, Splatoon is fun and I don't care what Andrea or Janelle have to say about it! I'll be honest, I skipped the first Bayonetta, but having played through a bit of the sequel on the Wii U I'm kind of excited to get both on the disc when it comes out later this year. 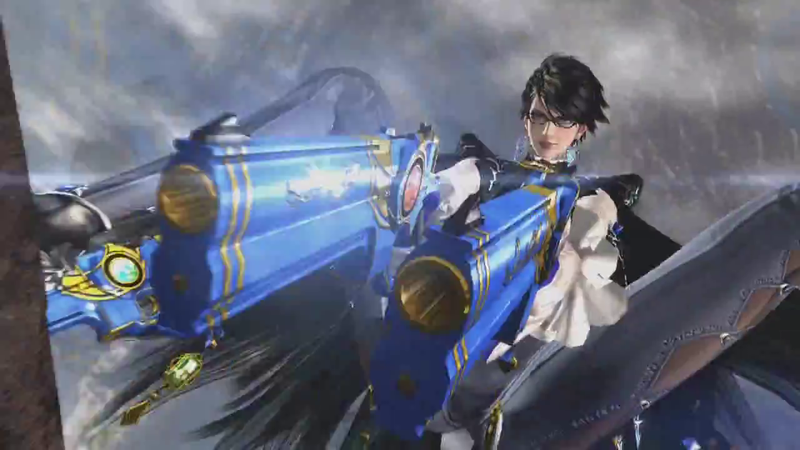 The over-the-top action sequences and the fun combos Bayonetta can unleash from her fists, hair and ankle guns are awesome to behold. In the mission I played, I went from fighting atop a fighter jet, to a train, to the side of a building and then flying around the top of said building battling an unruly hair demon like it was King Kong. I had a smile on my face the whole time.